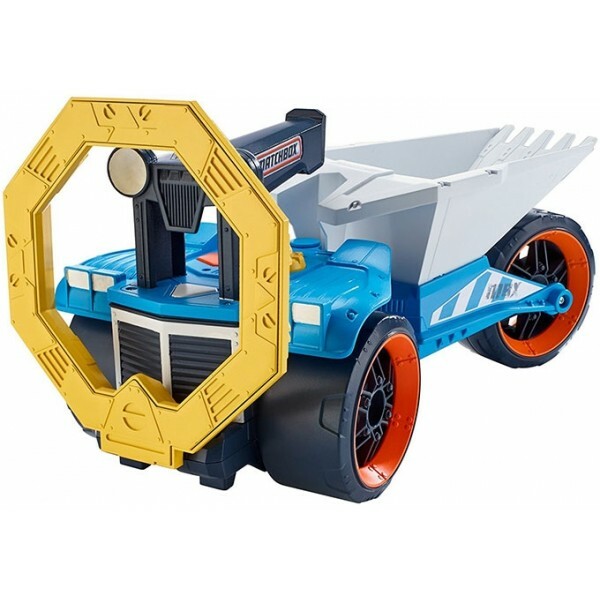 A rugged, large-scale truck equipped with a real working metal detector, the Matchbox Treasure Truck raises the bar on exploration by taking the hunt underground. Activate the truck by pushing the antenna down, which will emit a detection signal -- and once the truck is roving along a surface, the hunt is on! As the Treasure Truck detects metal, the detection signal will change, and the treasure is ready to be discovered! Grab the scoop and dig until the metal is found, using the sifter scoop to separate soil or sand so that only the treasure remains. When the hunt is over, simply raise the antenna to turn off until the next mission begins. 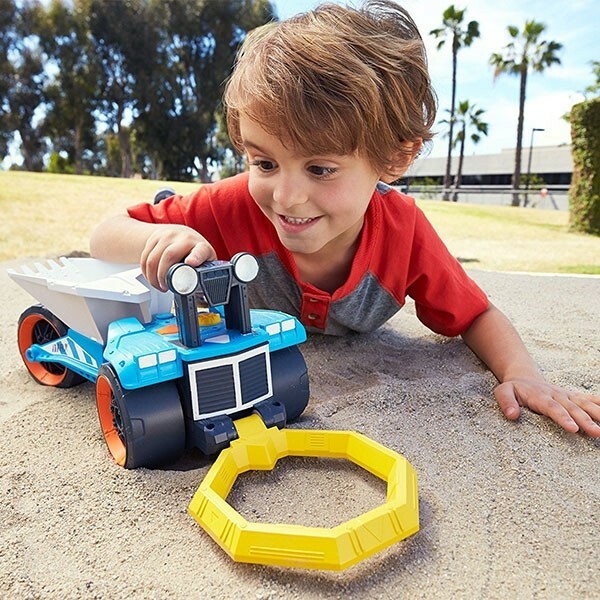 Suitable for hours of indoor play or outdoor fun with a durable design and equipped with real rolling wheels, the Treasure Truck will detect, dig and discover adventure! 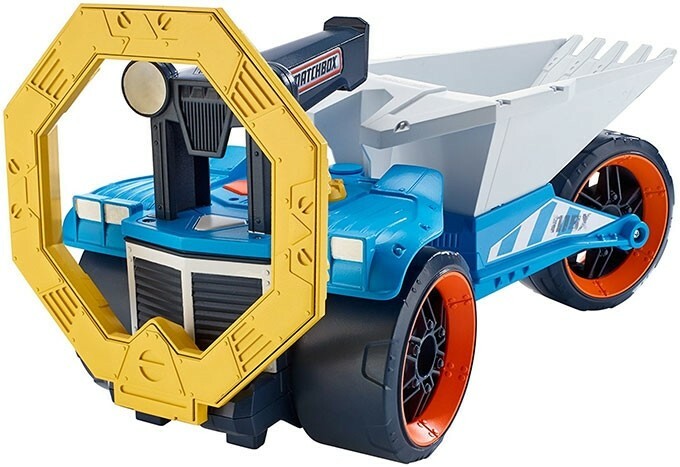 Also included are 10 Matchbox vehicles to hide and find!